A blog of a writer I read frequently is that of Dean Wesley Smith. He’s been a professional writer for a long while now, about forty years I believe, and has some good insights to share about being a writer. One of those is his observation that during the summer months, which he calls the “Time of Great Forgetting,” many writers abandon their writing to do summer things, only to come back to writing in the fall months shocked at what they didn’t accomplish. I can say that his observation has been accurate in my writing life, but only in the past. I’m no longer plagued with the “Time of Great Forgetting,” as I’ve made my writing so much a part of my life that I’d miss it if I didn’t do it daily. And I do miss it, on those rare occasions that I don’t get to do it on a given day. Try to write at the same time every day. Write daily, no matter if you can only squeeze in a little time or a few words – something is always better than nothing. It keeps the writing “muscle” in shape and keeps the stories flowing. Set goals for your writing in the form of words per day, per month, and per year. It’s amazing when you look back at your progress, or lack of! Keep a log of your written words. This way it’s easy to see where you’ve slipped or where you’ve advanced. Always keep learning in regards to writing, on the craft side and on the buisness side, through following writing blogs, reading books on writing, watching instructional videos, listening to podcasts, and taking courses. This will keep your mind focused on writing, especially during those times you might not have a lot to devote to the actual writing. Harlan Ellison was one of the first professional writers I ever met. It was in the 80’s, during one of Harlan’s lecture tour stops. 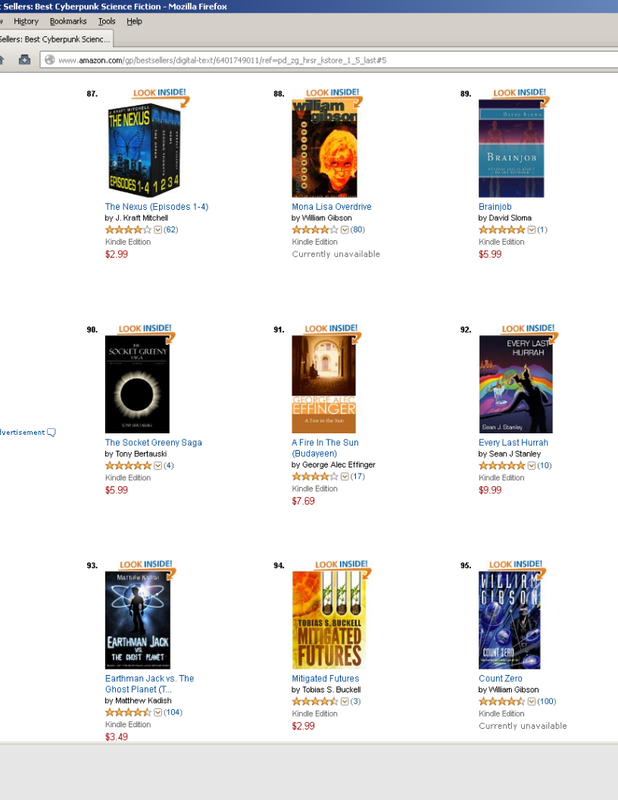 I was a wide-eyed teen, voracious reader (especially of fantasy and sci-fi), and also a beginning/aspiring writer. His talk to the large crowd was wild and entertaining, filled with outrageous stories – here was a real celebrity writer in our midst! His admonitions on the hardships of the writing life were not enough to deter me, but they did shock me at the time (I found out years later he was mostly right). The highlight of the show was when he read one of his new stories! That put me in awe, not just because I got to hear a wonderful story from a master writer in his own voice, but he said afterward that it was “just how it came out of the typewriter.” No rewriting! He explained that he was able to do this after being a writer for over 25 years. I thought he might have been embellishing about his skill slightly, as some of his tales seemed a little far-fetched, but now I’m not so sure. I’ve learned from him and other long-term writers that this sort of thing is possible; I’ve even had my own experiences with it. After the show, I lined up to get a book signed by Harlan and also got his infamous barbed wit/temper directed at me! Seems I was being a little too much the acolyte writer as I hung around at his elbow after getting my book signed, wanting to bask in his presence and collect any pearls of writing wisdom he might choose to bestow on those crowding around him. So he shooed me away like a fly! I believe he even said “Go away, shoo!” I can chuckle about it now, but at the time I was a bit miffed. Ah, Harlan! Harlan Ellison gave me someone to emulate, showing that the dream I had, to also be a writer, was possible. For that I’m thankful, and also for the many stories of his I enjoyed and dreamed on. I’m sitting in a park writing this. Why? Because I can, and because it’s a dream come true. 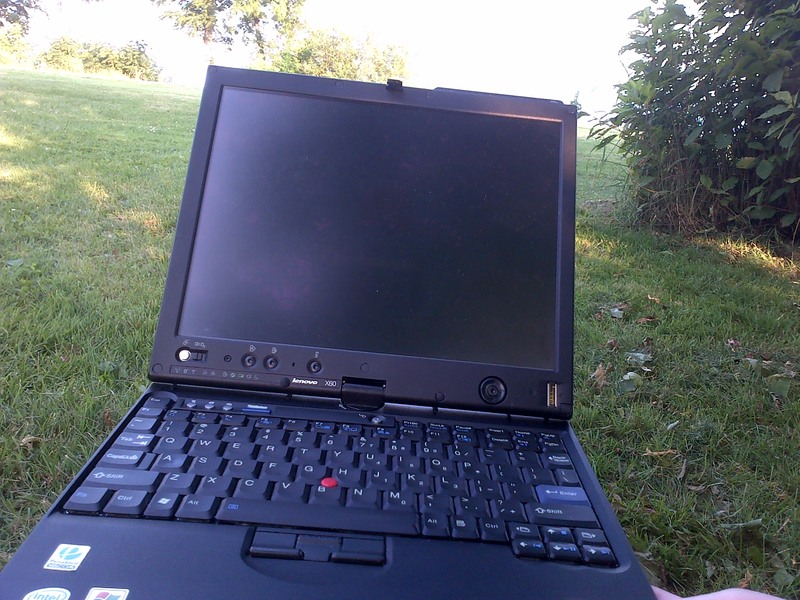 With my ThinkPad X60 in the park, my “office” today. Decades ago I worked in towers. 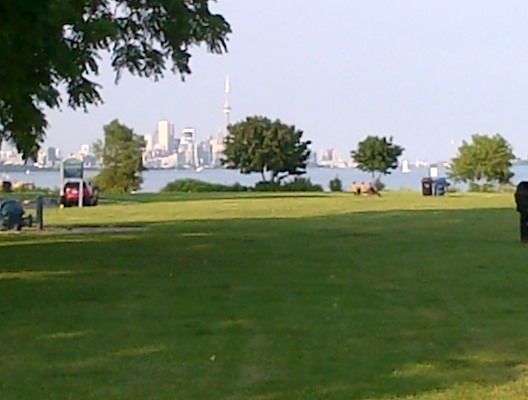 Specificlly, the tall office towers of downtown Toronto that I can now see far in the distance (I’ll put a pic up). They were great for getting a view in, but were not someplace I wanted to remain for long. Those towers are tiny to me, now, from my view in the park and seem like toys. They are in dream-scale, like they might not even be real. That’s how I feel about my past, and what has lead me to here and now. When I worked in those tall towers, I was young, just eighteen and out of high school. I worked for six months in those towers, and I swore I would not end up working there for the rest of my life. I finished up there and went back to school, to university to study Creative Writing. Unfortunately, I didn’t have the opportunities back then that writers and content producers have today to self-publish on such a grand level. Also, I had done some buying into the erroneous belief that it was not possible to make a living on your art; what a foolish notion to entertain. Many years went by, and I had even more jobs of different kinds, most of them in offices, too. But I still was not living my dream, and that was to do my creative work full time: writing, filmmaking and other art forms, too.. Suddenly the other day, I looked up from my computer and realized that I was now, in fact, doing what I had been craving to do for all these years! I was working on my writing, film and video making, and other art with all of my time and effort (though, when you are doing what fulfills you, and makes you happy, I don’t think it needs to be called “work”). There were many times through those years past that I thought my dreams and goals were so far away that I might never reach them. However, I am living a lot of them, now. I still have many goals and dreams to realize and strive for, as it’s on ongoing process. But, I just wanted to say that dreams do come true, and you can do what means most to you in life. Just keep going when it’s tough to do so, and know they are real. A good day for a park “office” visit. p.s. 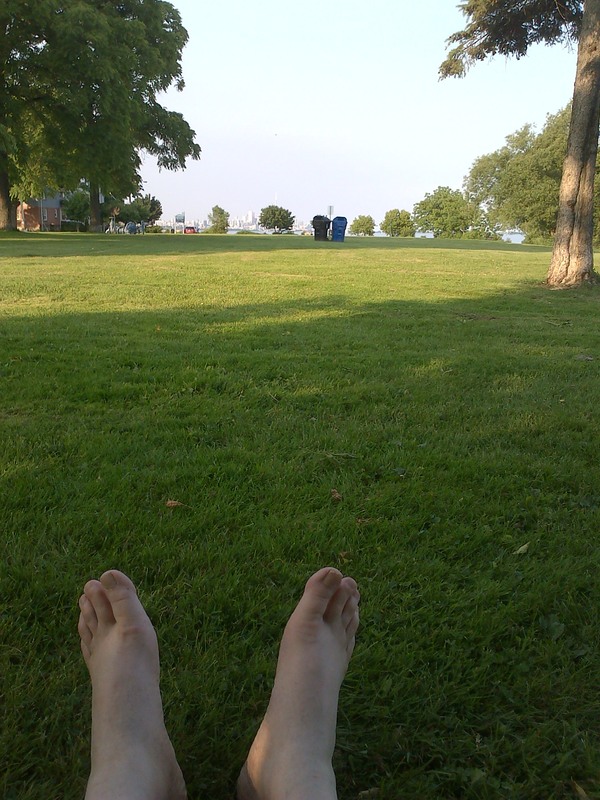 Posted this to my blog from the park, too.